Item #RCK-2208:14Kt. 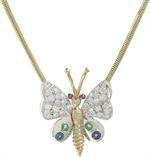 Gold Rainbow Butterfly Pendant with two prong set round Rubies, & two each bezel set round Emeralds and Blue Sapphires of .40 cts. TW & twenty-eight pavé set round Diamonds of .60 cts. TW;18' chain; lobster claw clasp;12.34 grams TW. 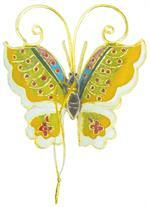 Item #FS-927: 11.9x8.1mm butterfly Golden Sapphire of 3.95 Cts. $750/Ct. Item #AG-4F49: 14Kt. Yellow Gold Butterfly brooch with twenty-two "AA" Quality 3.5mm round Akoya Cultured Pearls and eight round Diamonds of .10 Cts. TW set in White Gold. Item #D&R-24277: 18Kt. 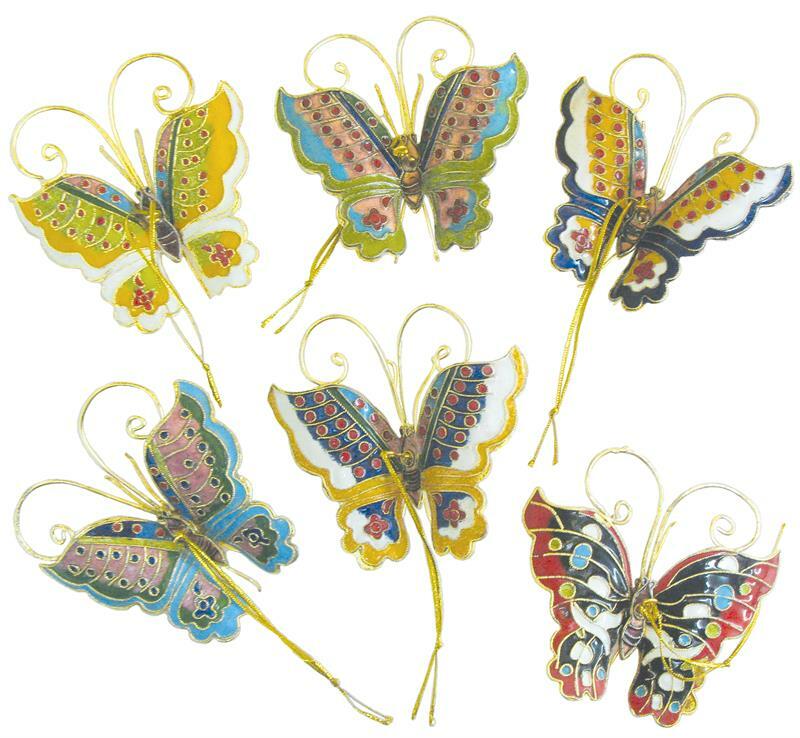 Yellow Gold Rainbow Butterly Brooch/Pendant Enhancer with twenty-three channel set fancy shape Blue Topaz, Amethysts, Garnets, Golden Citrines & Peridots of 2.38 cts. TW & two round Diamonds of .03 cts. TW bezel set in White Gold. 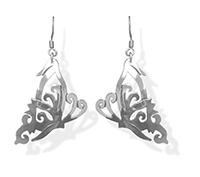 Item #ELY-ER-2316: 1 3/4" long Sterling Silver flying butterfly earrings with shepherd's hooks.